KRUTCH KADDY Crutch Bag - "Making Life On Crutches A Little Easier"
Being on crutches is challenging, the two hands you would normally use to carry personal items are now otherwise occupied. The Krutch Kaddy crutch bag offers the perfect solution to this dilemma and is a must have for anyone who will be on crutches for any length of time. Keep items safe and secure even when crutches fall . 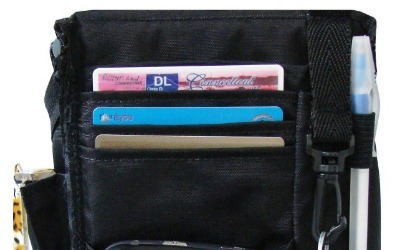 Keeps essential items securely in place and easy to find. The interior of the Krutch Kaddy crutch bag houses sewn-in holders to keep items securely in place and easy to find. 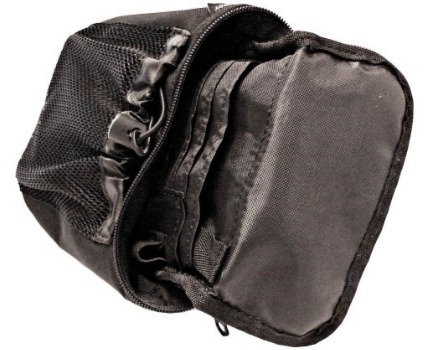 It is beautifully finished and completely lined with a polyester nylon fabric.